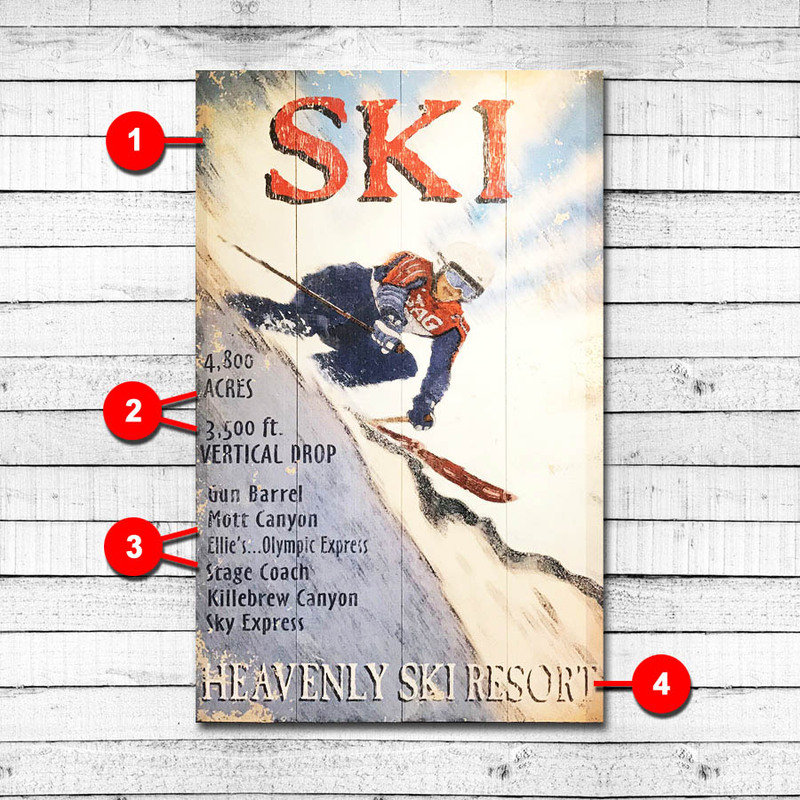 Our exclusive collection of Vintage Ski Signs are printed from an original that was hand painted by an artist. 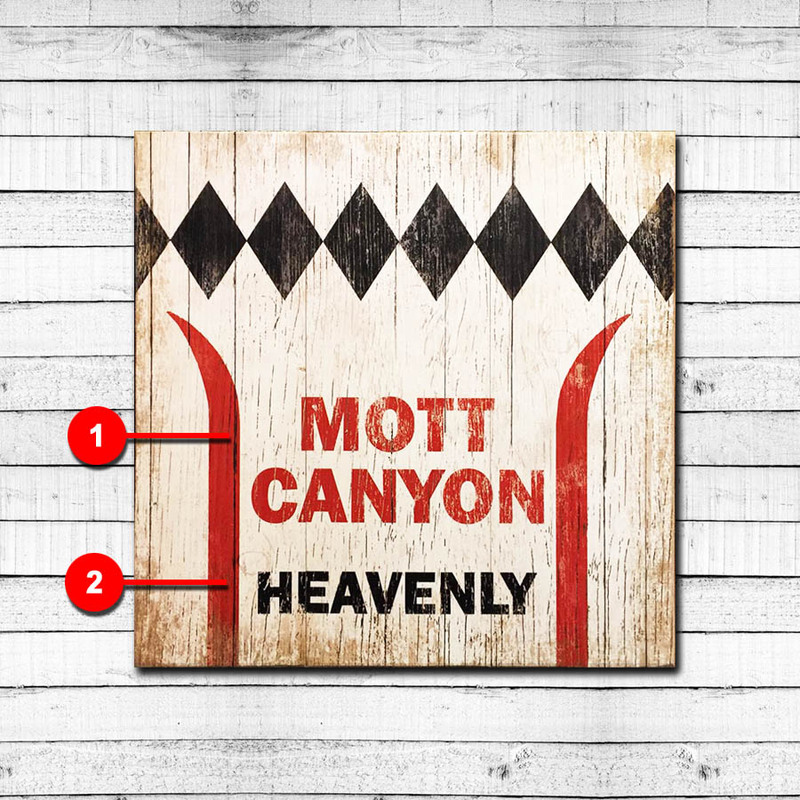 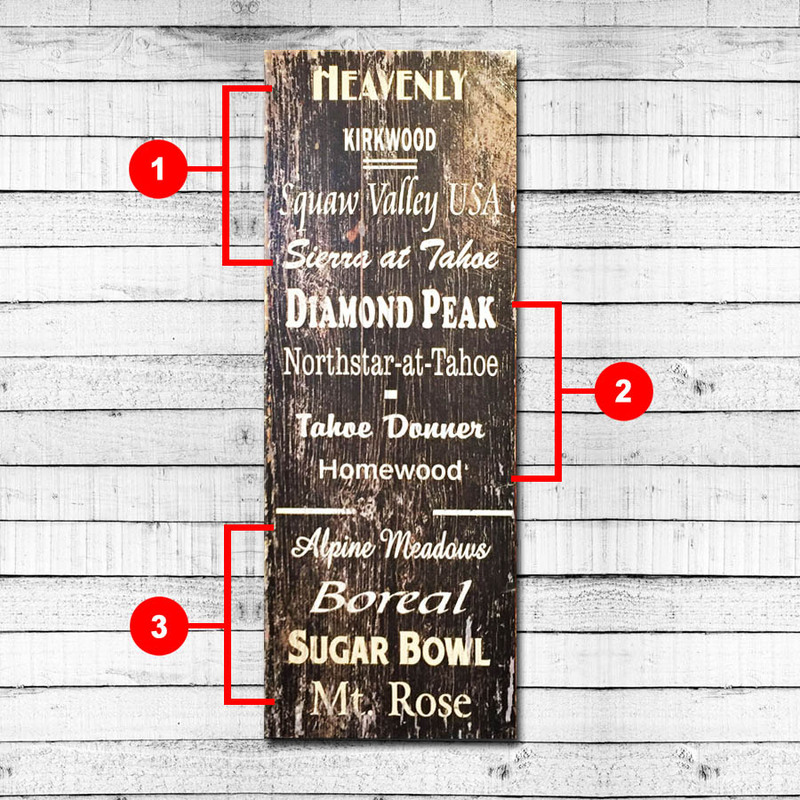 This unique method gives each vintage sign a rustic and authentic vintage look as if they were genuine antique signs. 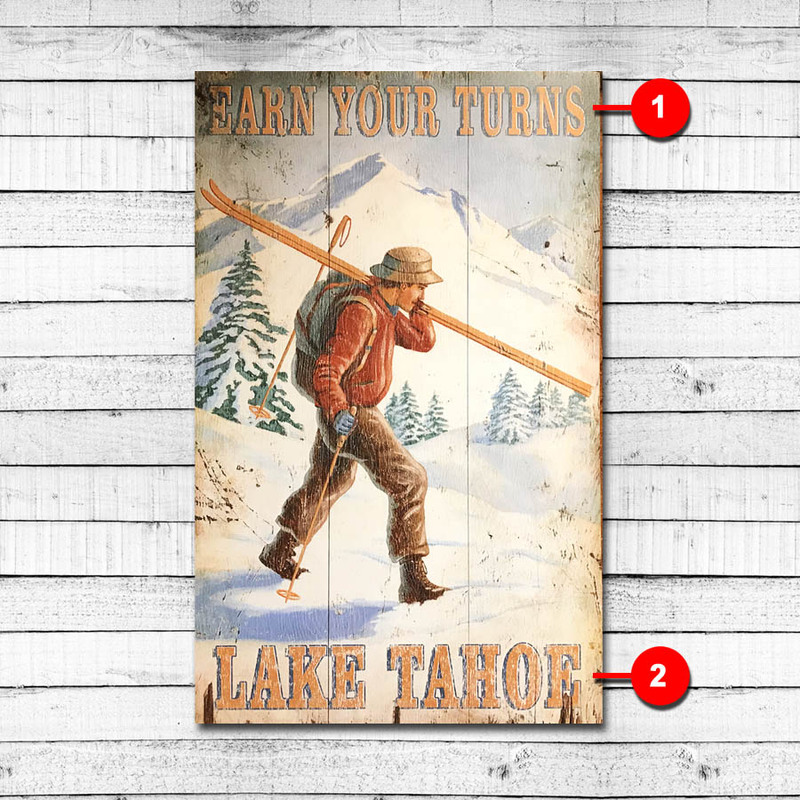 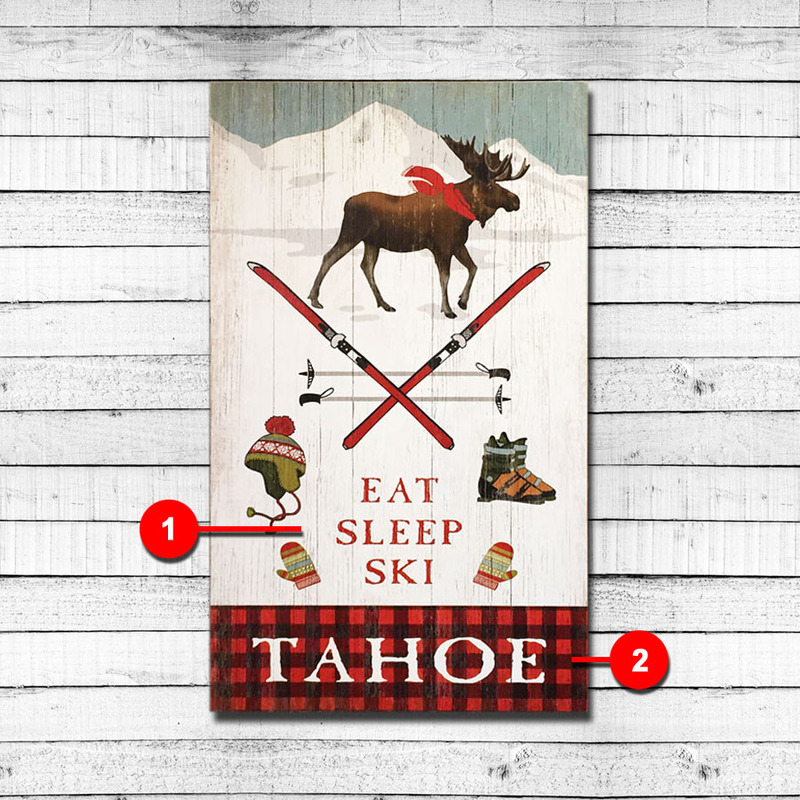 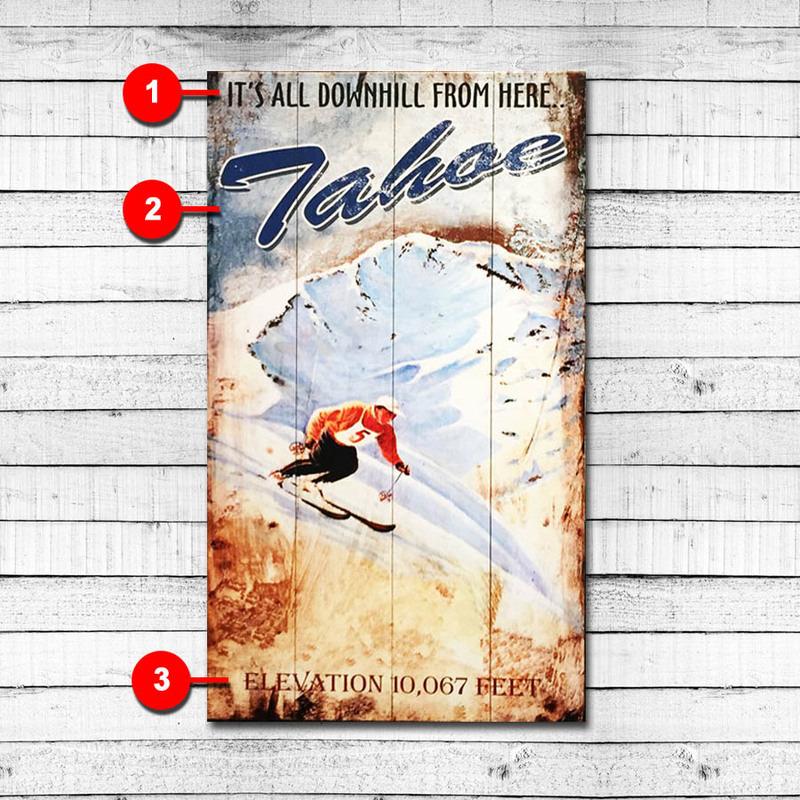 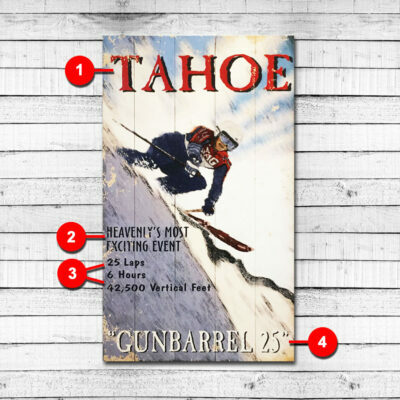 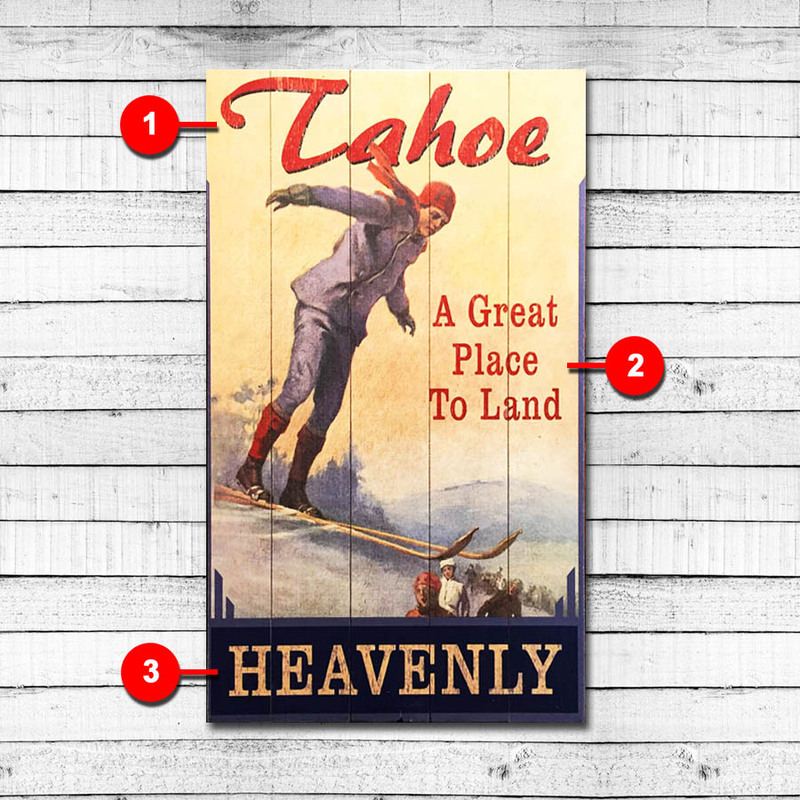 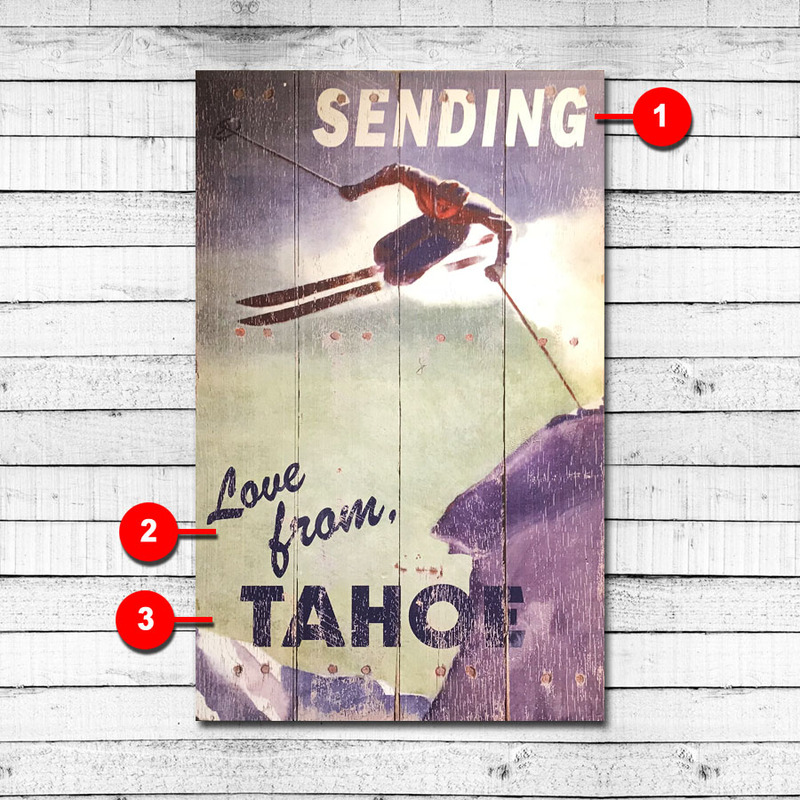 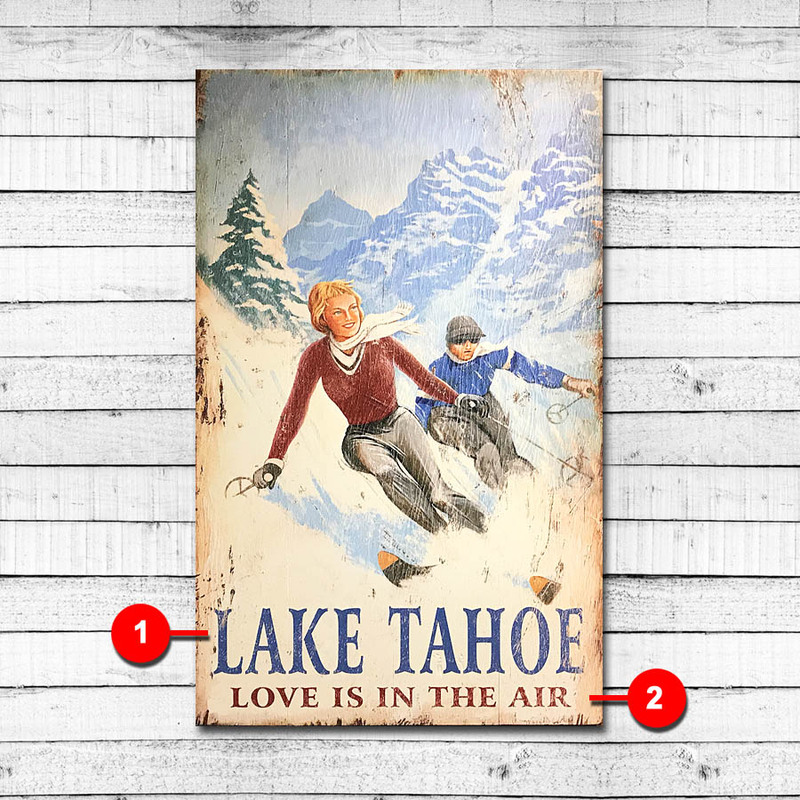 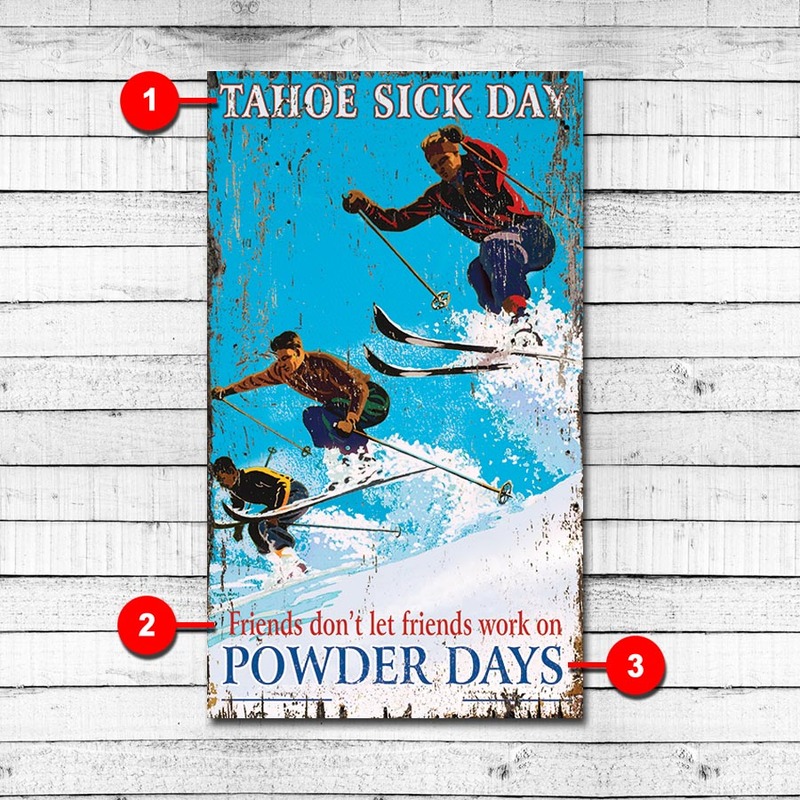 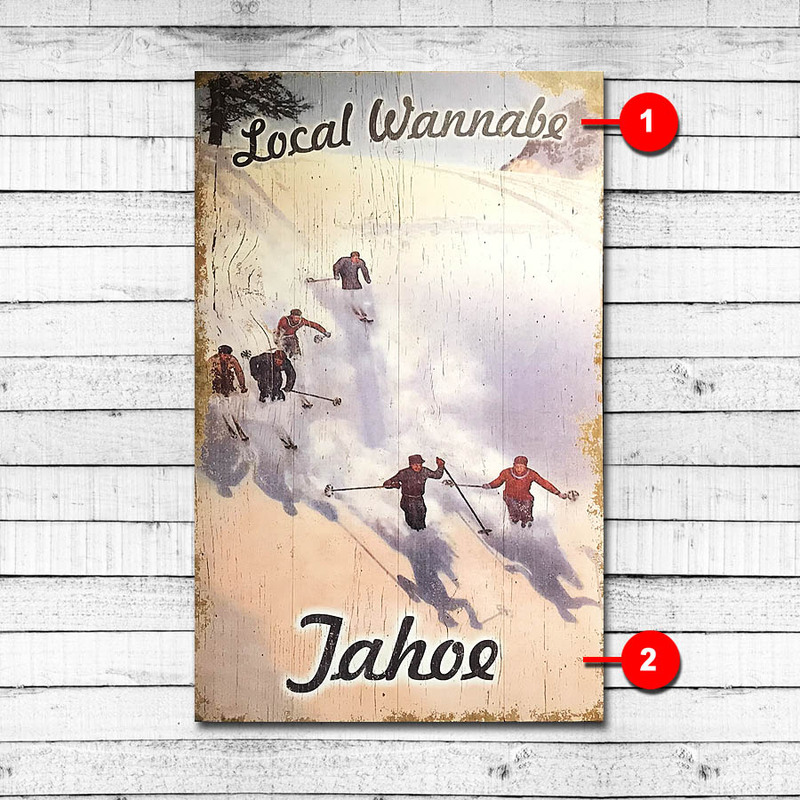 We offer popular ski resort signs featuring favorites such as Heavenly Mountain or Squaw Valley, as well as winter-themed vintage signs capturing the essence of winter recreation in Lake Tahoe. 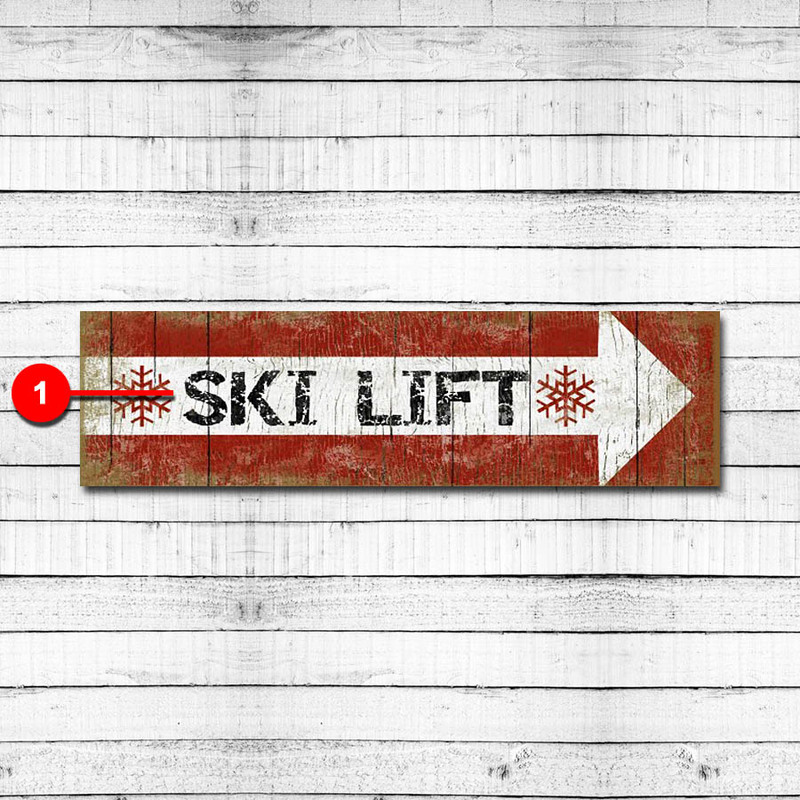 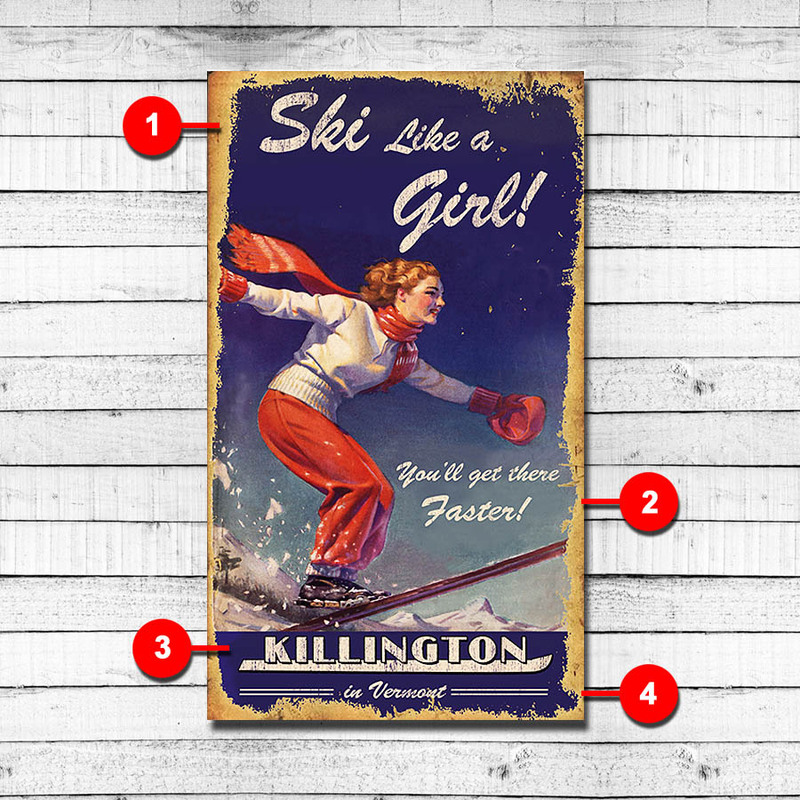 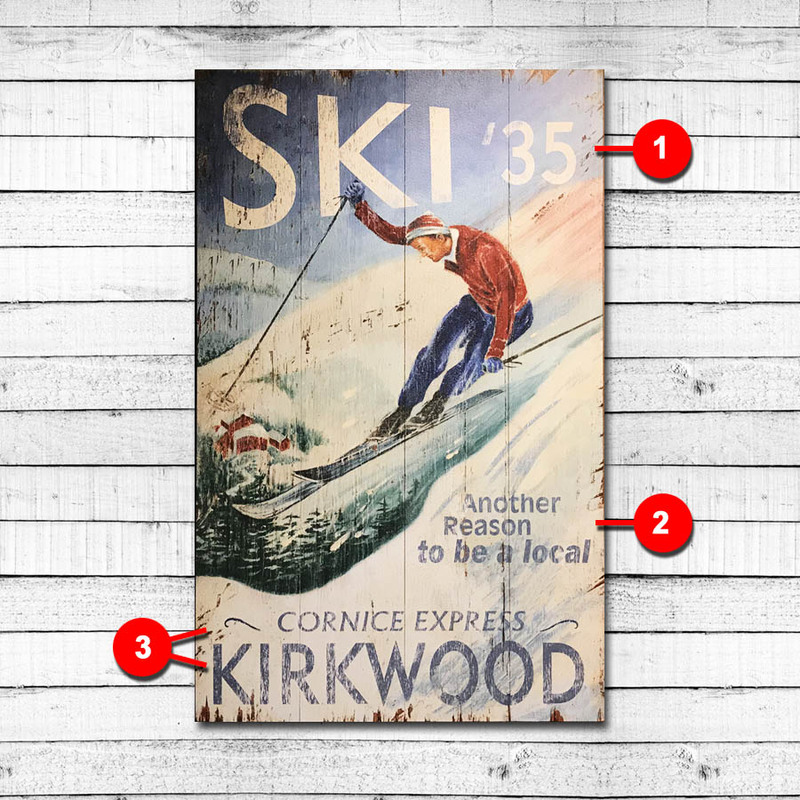 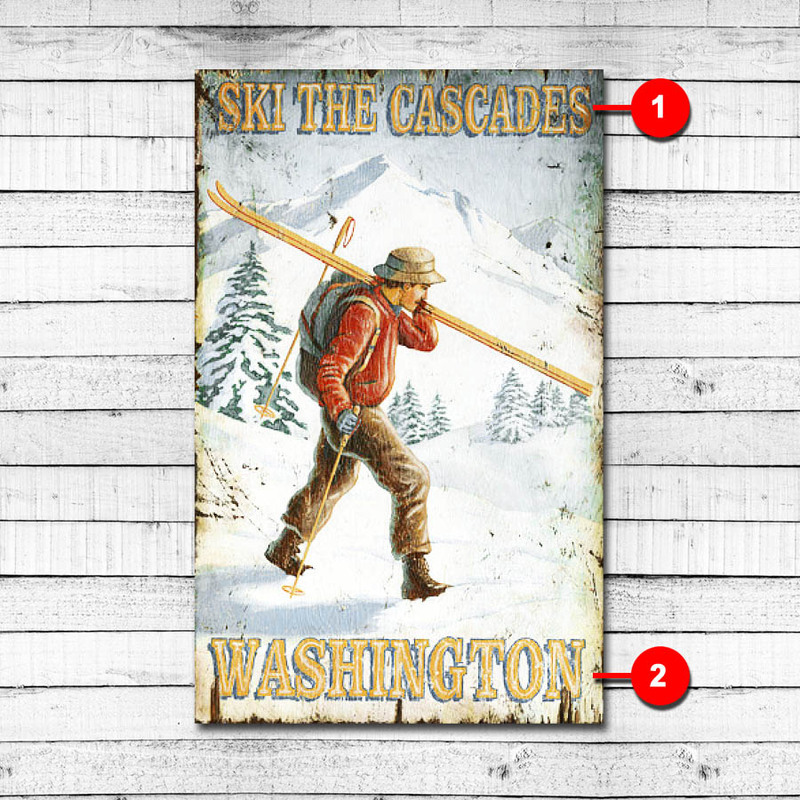 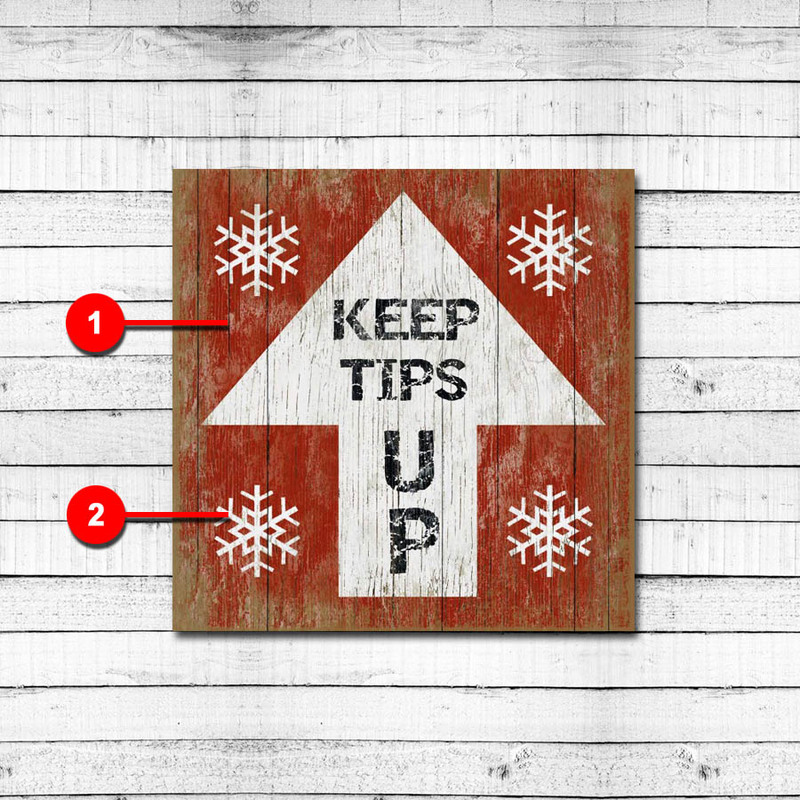 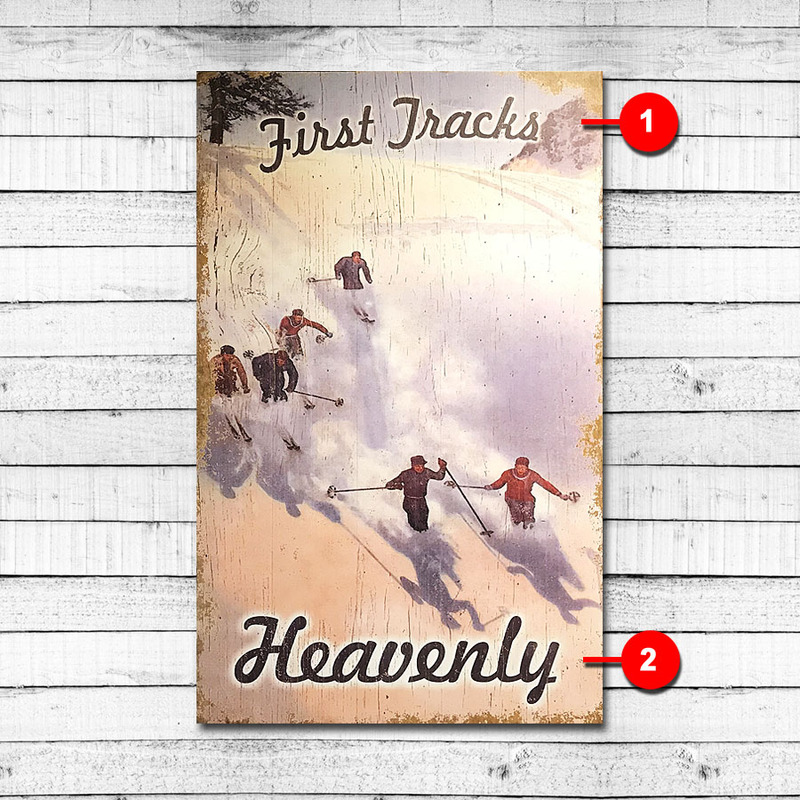 Best of all, all of our vintage ski signs can be customized with your own text!